Hey Vato | Orale ese! 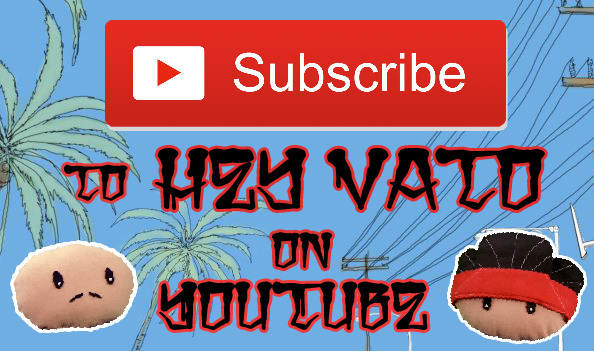 CLICK HERE TO SUBSCRIBE ESE!!! Here’s a compilation of our Instagram videos. Love the show and was wondering how I can audition?? Please let me know what I need to do to be a part of this wonderful series. I checked out your reel… it’s very impressive! We are actually in the process of expanding the series and creating new characters… there’s really nothing to audition for at the moment but once we have some new characters we would totally love it if you came in to read for a part. Thanks for checking out the show man! Awesome!! Thank you Juan. See you soon. A new fan from Kuwait…really enjoy your series!!! Orale! Shout out to all the homies in Kuwait! Thanks for the support ese! you all dropping knowledge quite being hella funny…how can i buy a doll/puppet para mi novia who loves the show too ? Thanks for the support Marcos! We’re looking into putting some merch out… obviously the dolls are #1 on the list. But we’ll keep you posted as soon as we have word on that. This was pretty funny guys. The shift at the end cracked me up! I just started watching your videos and you have a new fan in Ohio. Love you guys and keep up the good work. How often do you guys put out videos?? I love them all!! Ya’ll (country girl coming out lol) are so funny and talented. I will fall ya’ll on Facebook. Haha! Thanks again Tracey… Glad you dig the videos 🙂 Right now we put out an episode every 2 weeks on youtube. We’re trying to build enough content right now to put out an episode a week… it’s taking us some time since we all have day jobs, school, etc. But we do try to put out something every week on Facebook, Instagram, Twitter or Vine… we’re pretty much everywhere. Thanks again for checking us out!